People in the United States love to start new businesses. In 2009, the last year that figures are available, 552,600 small businesses were started. And 660,900 shut down. These are according to numbers from the U.S Small Business Administration. There are a lot of reasons businesses fail. Like anticipating a market that just doesn’t materialize. Pets.com poured money into its website that sold pet supplies. 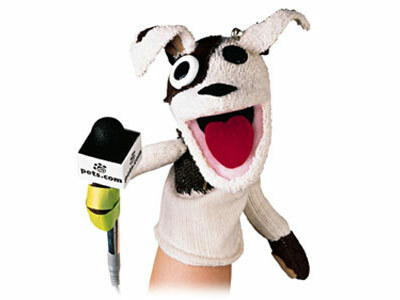 The company spent millions on an extensive marketing campaign with a popular sock-puppet mascot, whose name, according to an interview on CNN was Pets.com Sock Puppet. It made an appearance in the 1999 Macy’s Thanksgiving Day Parade and even starred in a commercial in the Super Bowl in 2000. A cute mascot and a multi-million dollar marketing campaign doesn’t guarantee a company’s success. While people enjoyed the Pets.com advertising, the market just wasn’t there for online pet supplies. Launched in 1998, Pets.com went from an IPO on NASDAQ to liquidation in 268 days. At least Pets.com Sock Puppet found work. He moved over to BarNone, replacing Fran Tarkenton in its advertising. If you’ve ever lost a job, just console yourself with this thought. At least you weren’t replaced with a sock puppet. In my work with failing companies, I’ve seen many other reasons start-ups fail. Here are just a few of them. • The entrepreneur is inflexible during the start-up process. Products, product lines or services will most likely morph or change as they become further developed in response to consumer demand. Some entrepreneurs are unwilling to embrace the necessary changes and end up standing in the way of their own success. • The entrepreneur doesn’t have enough in reserve or doesn’t borrow enough to keep the business going. When changes occur it can take longer for a company to break even than the business plan indicated. More time means more money. You may have to keep people on the payroll longer and incur more manufacturing and development costs. The entrepreneur either has to have a large enough reserve to cover it, borrow more money than he thinks he needs initially or bring in new sources of money in time to cover the additional expenses. Failure to do so means the business can become one of the approximately 1/3 of all start-ups that fail within the first two years. The number one piece of advice I give to anyone considering a start-up: No matter how much money you think you need for the venture — double it! Every start up needs a contingency fund. • The entrepreneur has no contingency plan. With most start-ups people leverage a lot of their personal assets to get the business going. While I never advise betting everything you own on the success of a new business, if an owner does put a lot of his personal assets into a business, what happens if he gets in an accident? What if he becomes disabled and unable to work, or dies? He needs to have disability and life insurance policies so his family is not left with no viable business and a mountain of debt. • The entrepreneur fails to bring in a partner when necessary. Whether it’s for an additional source of funding or because a partner has a needed area of expertise, there can be good reasons to bring a partner into a business to ensure its success. A piece of pie is better than no pie. This entry was posted in Lessons for CEOs, Uncategorized and tagged BarNone, Pets.com, Super Bowl XLV. Bookmark the permalink.